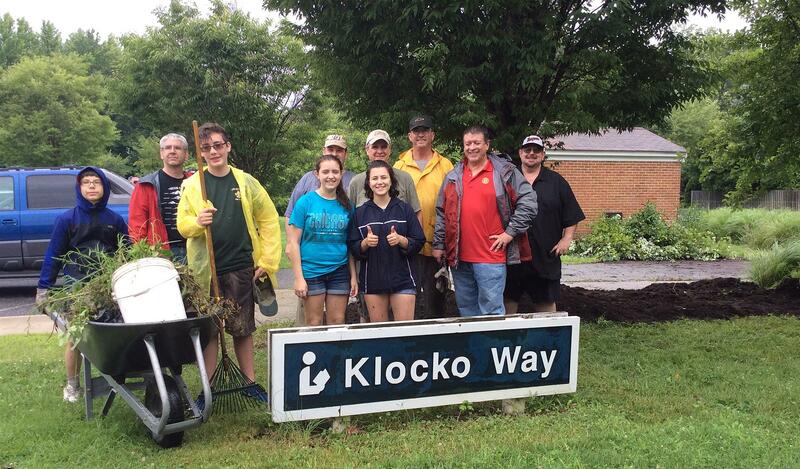 The Crofton Rotary Club is partnering with the Crofton Village Garden Club and the Crofton Library staff to assist in maintaining some of the gardens in the vicinity of Klocko Way at the Crofton Community Library. The past two Saturday mornings, club members, their families and friends, along with Scouts from Troop 758 at St. Elizabeth Seton Church have been weeding, trimming and mulching. 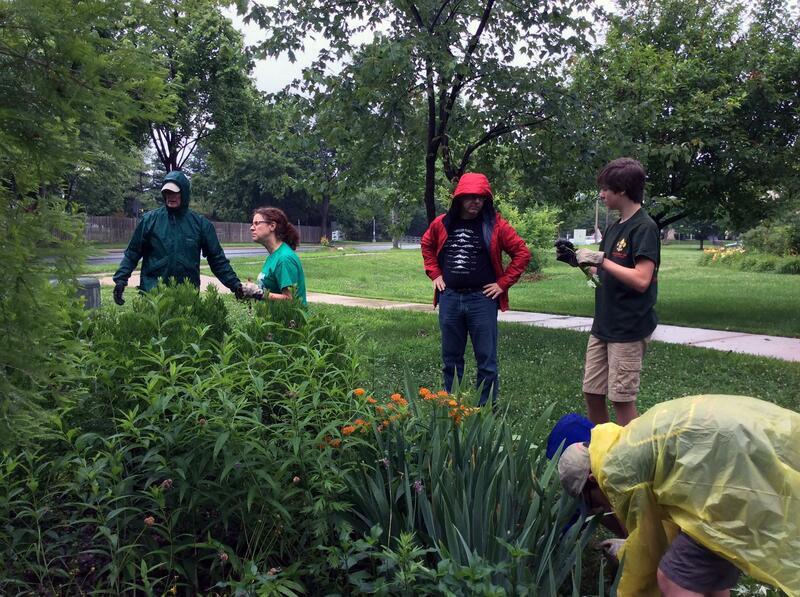 In spite of the rain on Saturday, we had a great turnout! We will continue to hold workdays at the library throughout the summer and fall to help maintain the area.